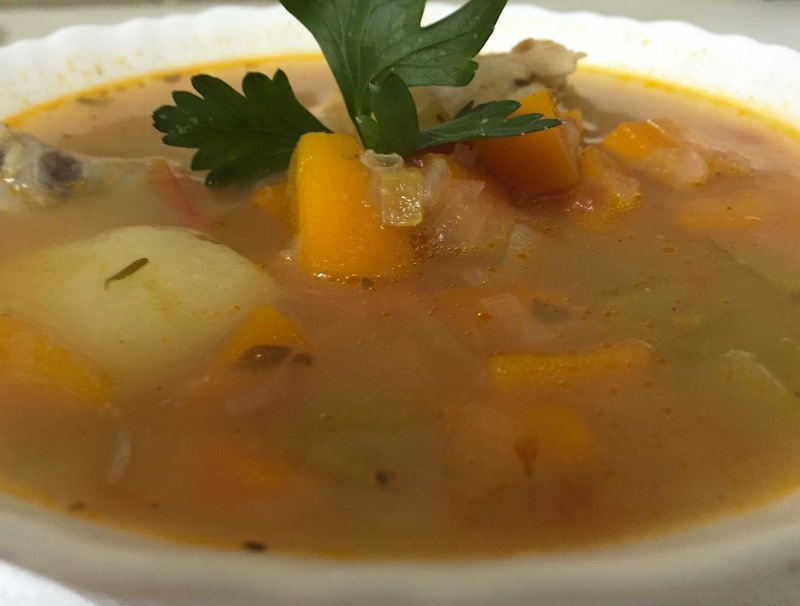 Boasting a variety of fresh veggies, tender chicken and perfectly paired herbs, this classic soup is lovely in colder weather. It’s also exceptionally easy to make and laden with health boosting benefits. And what was even better for us was the chance to bridge our two culinary cultures in a single dish. 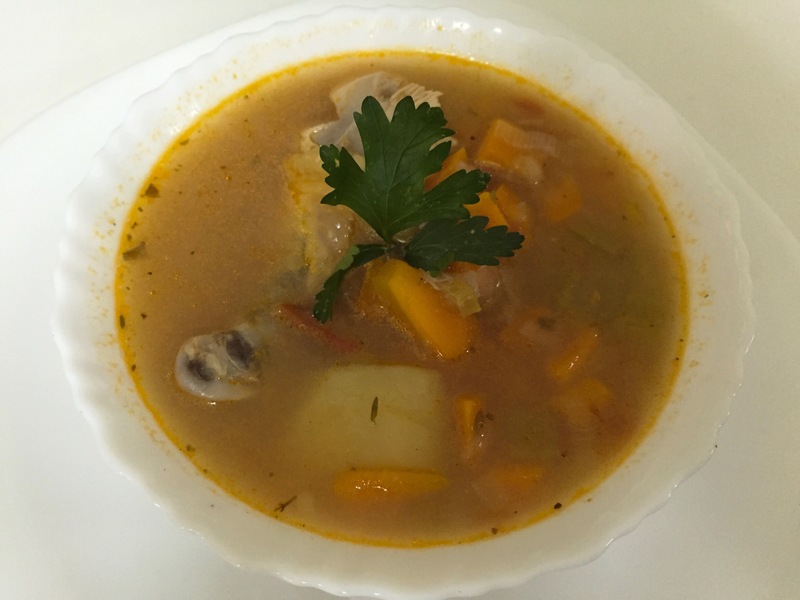 The recipe is an off-the-cuff family recipe from my side, but soup is a huge staple here in Ecuador – so much so that there’s no lunch without it. So we took a western recipe and made it our own in a Latin American style by adding a few delicious extras. Happy cooking! Wash and prepare the chicken and set aside. There are two options here. You can either cook the chicken whole and remove the meat and return to the soup later, or divide into eight or ten sections (legs, breasts, wings etc), so that each serving of soup comes with a whole piece of chicken. We went with the second option this time, which is less work for those cooking, and is also the custom for soup in Ecuador. After dicing all the vegetables, sautée the onion, leeks, celery and carrots with the olive oil and garlic in the bottom of a large pot over medium heat. As the veggies begin to cook, add all the herbs, putting in the entire sprigs of thyme and parsley. Continue cooking for a few minutes over medium-high heat and then add the tomatoes and sauce. Stir to blend the ingredients together. Now add the potatoes and chicken and fill the pot about 1/2 to 3/4 full with water, so that all the ingredients are covered, with two or three inches to spare. Stir in the chicken stock, cover the pot and allow the soup to cook over low heat for at least 1 hour. When the soup has finished cooking and the water has been reduced, add salt and pepper to taste. If cooking the chicken whole, take it out of the pot now and remove all the meat. Cut the meat into smaller pieces and return them to the soup. Garnish with parsley and serve hot with a side of your favorite bread. Or serve as they do in Ecuador, with a squeeze of lemon juice and just a little hot sauce! sounds great and we also used to make it with little changes. love this one.